[패턴영어] Veggies are rich in + 명사. Veggies are rich in + 명사. Veggies are rich in iron. Veggies are rich in fiber. Veggies are rich in flavor. Veggies are rich in vitamins. Veggies are rich in nutrients. A: To keep healthy, fill up on fruits and vegetables. A: 건강을 유지하려면, 과일과 야채로 몸을 가득 채워. B: That's the way to go. Veggies are rich in nutrients. B: 바로 그 방법이야. 야채는 영양소가 풍부하잖아. A: It's a story as old as the hills. A: 그거야 옛날부터 늘 들어오던 이야기지. * Fill up on fruits and vegetables. : 과일과 야채를 듬뿍 먹어라. * That's the way to go. : 바로 그 방법이야. 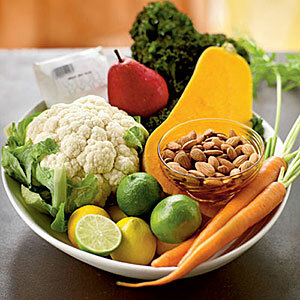 * Vegetables are rich in nutrients. : 야채는 영양소가 풍부해. * It's a story as old as the hills. : 그거야 태곳적부터 내려온 이야기지.